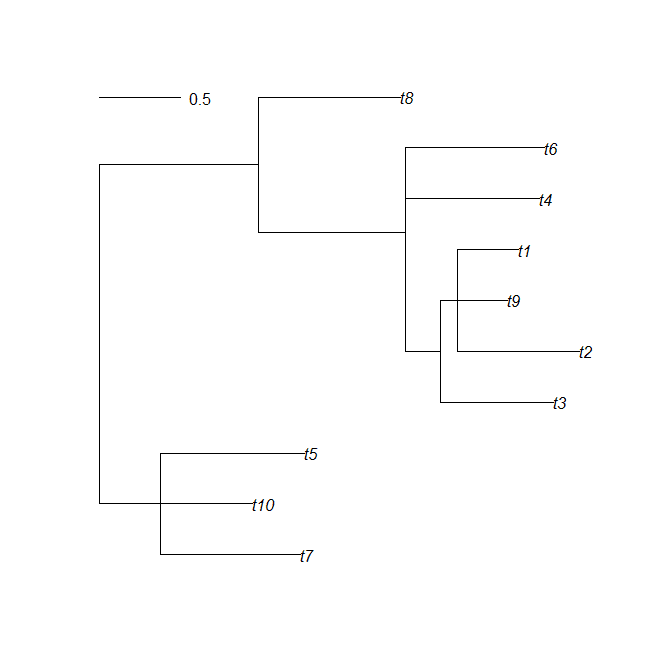 Here's a quick trick I came up with while working on something else today that gives the mean height of internal nodes (above the root) on a phylogenetic tree. It's clear from a casual inspection of the matrix that each parent node height (in the right column) is represented twice and only twice. 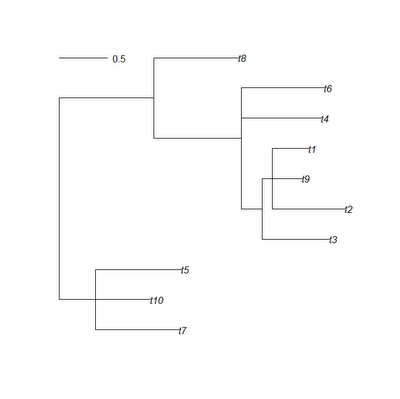 Thus, if we exclude the root node (zero height), we can just take the mean of H[,1]. 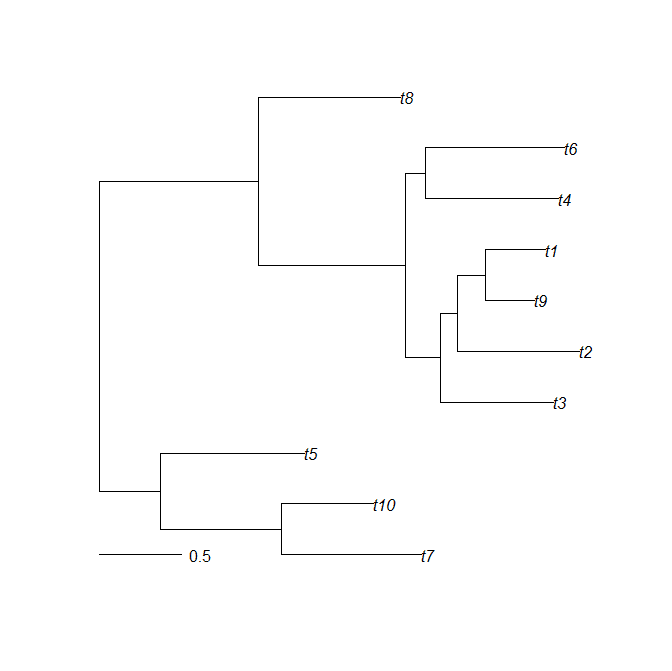 To see how this matters, let's collapse some of the nodes of our tree into multifurcations. just a beginner's question. 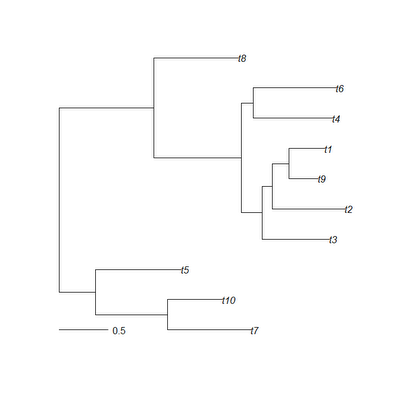 Why the values of node heights obtained by your function nodeHeights() do not has coincidence with the values estimated using ape's branching.times()? (my tree is ultrametric).